Posted on October 5, 2014 by Ronald Patrick Raab, C.S.C. Today, Pope Francis begins the Synod on the Family in Rome. In our Diocese of Colorado Springs, Bishop Sheridan begins a year long celebration of marriage and family. 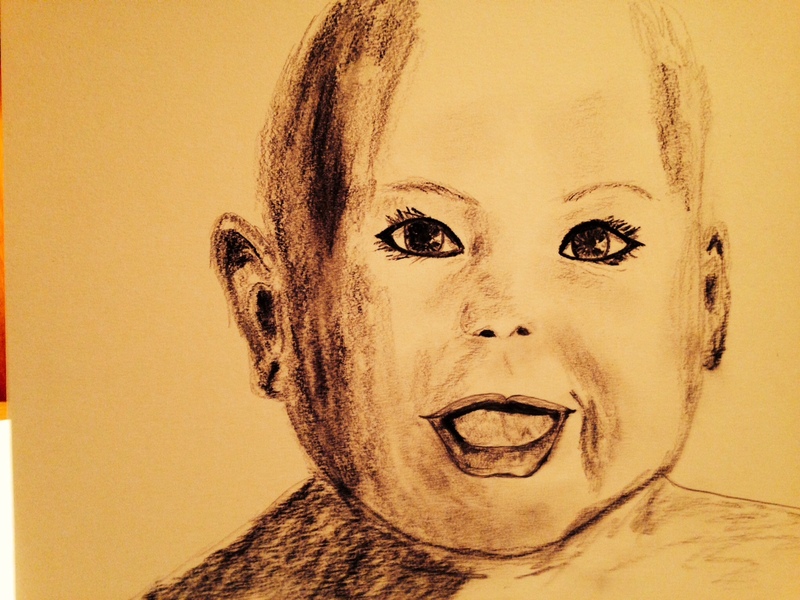 I sketched this image of a child this past week. Our future rests in the various skin colors of our children across the world. They will care for the needs of tomorrow. They will continue to put love into practice no matter what happens. Our task is to present to them our lives centered on faith and not fear, on hope and not regret, on inclusion and not prejudice, on peace and not war, on love and not anger about the past. Today, the future begins with us offering to God our very lives, our worry and our pure joy. I am moved by your drawings and the very spiritual and practical interpretations that you write! I have posted several of them in our graduate school, and I will surely post this most recent drawing of the Child who captures Tomorrow. Thank you so much. I spoke with one of your students who saw the drawing of Our Lady of Sorrows on the table before class. So glad my art is also finding its way into people’s lives to reveal stories of marginalization and poverty.